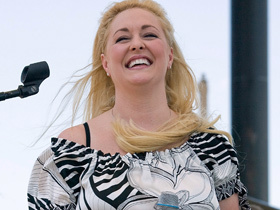 Mindy McCready sang about 10,000 angels in 1996 and now they sing for her. 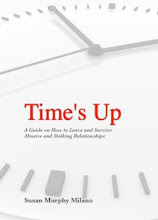 Protective mothers who also know all too well about family courts, DCF and abusers what Mindy has been through with custody of her son. This is a victory that will not go unnoticed with the large community of protective mothers. We applaud Judge Harrod for what we can only assume is reason and logic that a mother should be with their child, we couldn’t agree more. Country singer Mindy McCready left an Arkansas courthouse a “happy girl” Monday without divulging details about a juvenile court judge’s ruling on what will happen to her and her five-year-old son Zander. “I can’t talk about it, but I can tell you all I’m a happy girl. I’m a happy girl right now,” she said to reporters gathered outside the Izard County courtroom of Judge Lee Harrod. “I love Judge Harrod, I’ll tell you that. I love that man. He’s a good man,” she said before being driven away from the courthouse. Later Monday evening, McCready sent a text message to HLN’s Jane Valez Mitchell that the host read on air. Details on when the singer may be able to take Zander back home to Nashville, and whether McCready will get permanent custody of her son remain unclear. “The next step would be for the judge to decide,” Amy Webb, director of communications for the Arkansas Department of Human Services, told ABC News. Florida Department of Children and Families officials had been expected to request in the hearing that Zander be sent back to Cape Coral, Fla., where McCready’s mother, Gayle Inge, is his legal guardian. “We will not discuss details of this case per the judge’s order. Of course we continue to work with all involved parties to ensure this child’s safety and well-being,” a Florida DCF spokeswoman told ABCNews.com.